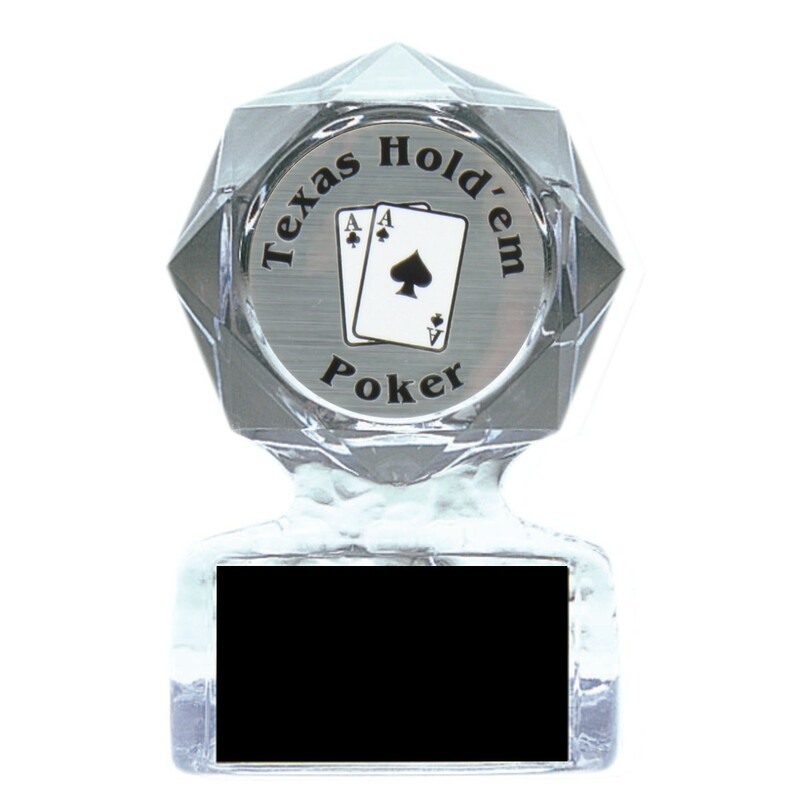 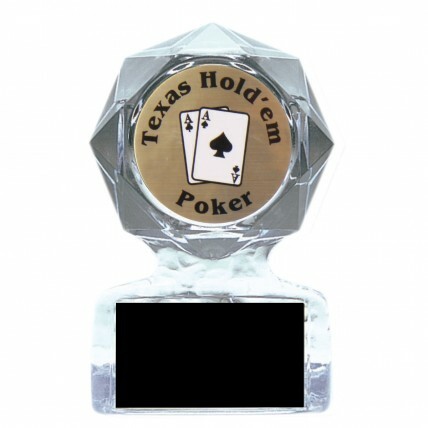 Betting big got you the pot, now remember this tournament or friendly game of poker forever with the Texas Hold'em Poker Star Acrylic Trophies! This small acrylic trophy, available in two sizes, has a shiny mylar insert in your choice of gold, silver, or bronze set in the faceted star face. Your tournament name goes on a black brass (gold or bronze) or aluminum (silver) plate for the perfect personalized touch!